All homes currently listed for sale in the zip code 90002 as of 04/18/2019 are shown below. You can change the search criteria at any time by pressing the 'Change Search' button below. "If you need a large home this one is for you. The first time on the market in almost 60 years. This home has been loved and cared for and is waiting for its new family. The 4 bedrooms are large and bright with natural exposure. The forth bedroom is an additional master suite with sliding door access to an enclosed patio and can be used as a master adjacent sitting room. The garage has doors and door openers on both sides with direct home access. The Iron fence that surrounds the front of the home is electric with remote control. Surveillance cameras active and working waiting for your computer connection. The original structure has hardwood floors under the existing carpet that have never been utilized. Bring your offer for this Huge home." "COMPLETELY REMODELED!!! THIS BEAUTIFUL SINGLE STORY 3 BEDROOM 1 BATH HOME IS READY TO MOVE-IN! THIS HOUSE HAS BEEN METICULOUSLY RENOVATED WITH APPROVAL PLANS AND CITY PERMITS!! 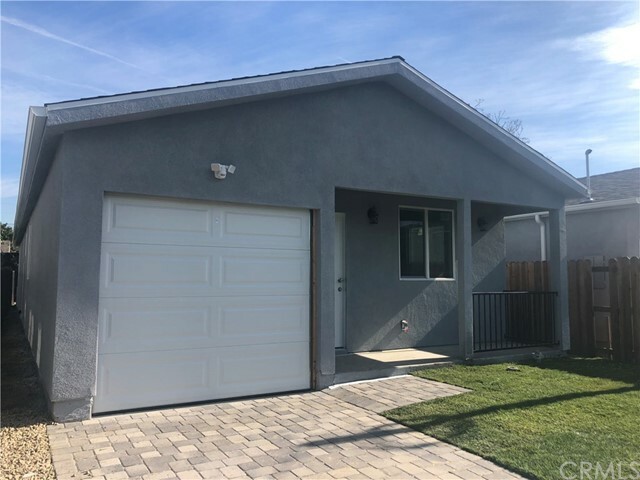 GORGEOUS KITCHEN WITH NEW QUARTZ COUNTER TOPS WITH A PANTRY AS A PLUS, BRAND NEW FLOOR THROUGHOUT THE HOUSE, BATHROOM HAS BEEN COMPLETELY RENOVATED WITH NEW FIXTURES, SINK, CABINET, ETC. NEW WATER HEATER, LAUNDRY HOOKUPS INSIDE THE HOUSE, NEW INTERIOR AND EXTERIOR PAINT, NEW DUAL PANE WINDOWS CHARMING FIREPLACE AT DINING AREA, NEW FRONT AND SIDE DOORS, BEAUTIFUL DESIGNED FRONT DECK, THIS BEAUTIFUL HOME IS SITTING IN A 2 LOTS WITH THE POTENTIAL FOR A SECOND UNIT, BUYER TO INVESTIGATE FURTHER, IS MORE THAN WHAT YOU EXPECT. 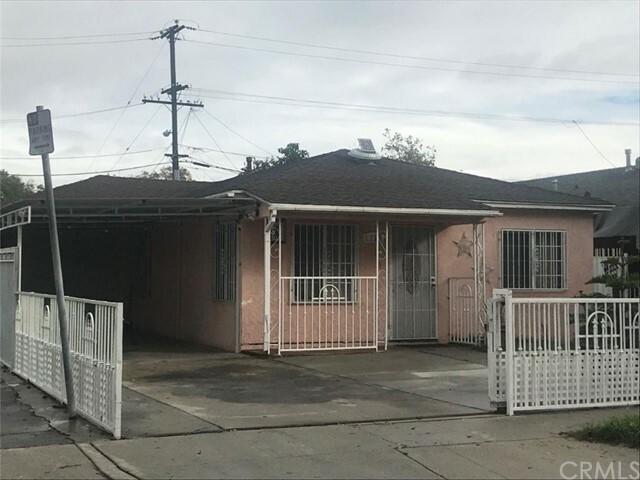 GATED LONG Driveway from BOTH SIDES OF PROPERTY, PROVIDES PLENTY OF SPACE FOR PARKING, GREAT OPPORTUNITY, EASY ACCESS TO FREEWAYS, DOWNTOWN LA. PLAZA MEXICO AND MUCH MORE." 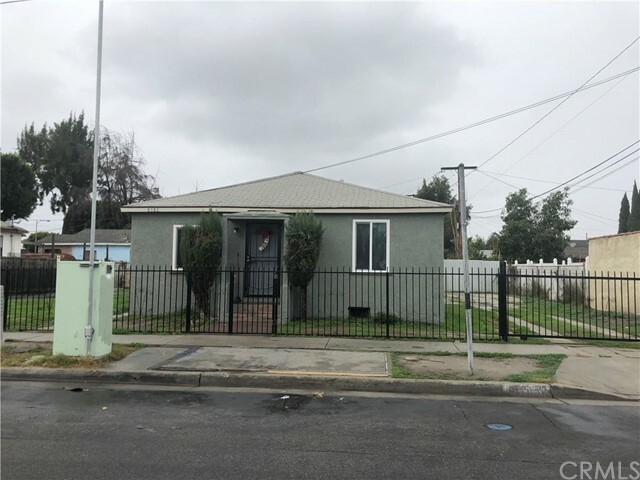 "3 Bedrooms 1 bath remodeled house in Los Angeles. There's a separate bonus room with its own bath in the back. Buyer and buyer's agent to verify with the city. Must see to appreciate." 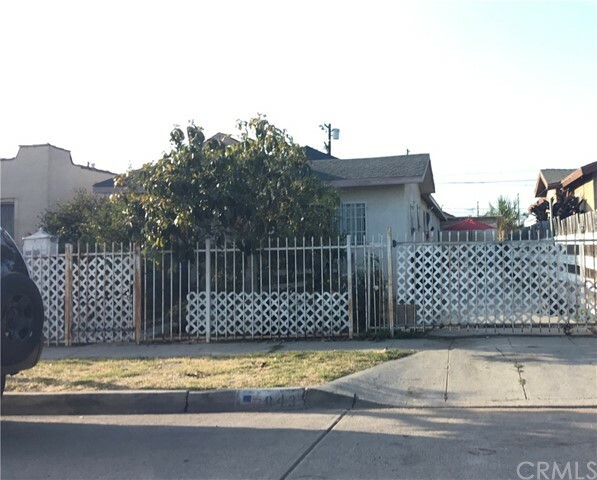 "Great home located in the Century Cove District of South LA. Home is located within walking distance of the local farmers market; and 10 minutes away from the New Rams Stadium off Century Blvd. Hop on the 105 West FWY and 10 minutes late you have arrived at Dockweiler Beach. This is an up and coming neighborhood known for it's Jacaranda Trees's flowering twice a year. Home has great charm, space and potential. Home is in the Mediterranean Coastal climate zone of Los Angeles; Which is great for growing organics and special types of fruit trees. Backyard currently has Collard Greens and Lemons growing. Front yard has drought resistant desert plants. There is a nice bonus Den connected to the house that can be used as an office or In Law Quarters. 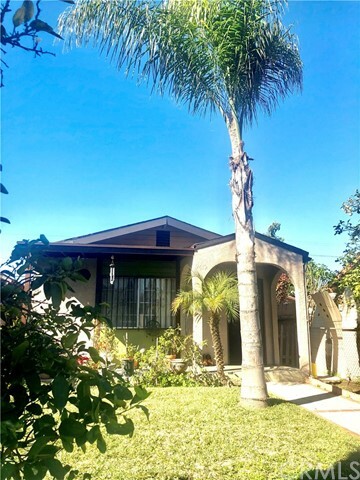 Come take a look at this great Gem. Homes on this Block Rarely go on the market. Most homes on this block are owner occupied for over 10 years. This is a place where you can find a sense of community in the Big City of Los Angeles." "Back on market on Saturday April 13th. Seller has made recent upgrades and fresh print. Welcome Home! One of the best values in the area. Own one of the biggest homes on the block. This house has 4 bedrooms and 2 full bathrooms. Two bedrooms and 1 bath on each floor. 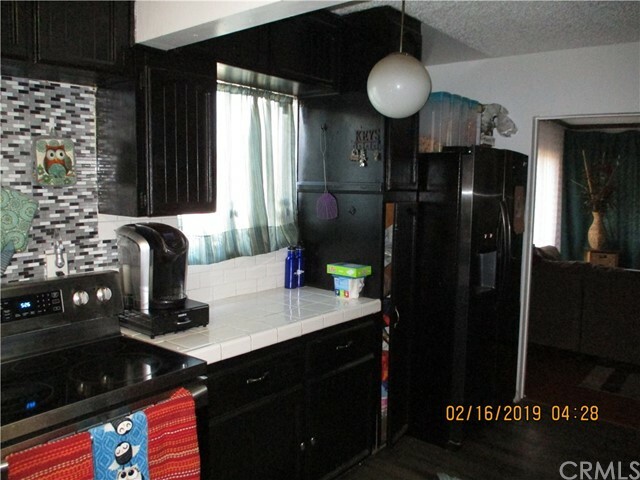 Beautiful kitchen, new flooring in living room, RV parking, Seller motivated. Schedule your appointment today. OFFERRED AS IS." "****REDUCED****Cute Starter Home! 3 Bedrooms 1 Bath New Ktichen with Shaker White Cabinets, Quartz Countertops, New Wood Like Vinyl Flooring thru-out. New Windows, Plumbing, Updated Electrical, Updated Bathroom, New Garage Door and Much More. Centrally Located to shopping and Public Transportation. Motivated Seller!!!!!" "**** Home Built in 2013 *** 4 Bedrooms / 2 Baths With a Pride Of Ownership. With High Ceilings That Keeps the House Cold. 2 Car Garage Huge Master Bedroom, Inside Laundry Room This Great Property Is Located In A Nice Quiet Residential Area. It Offers a Great Open Floor Plan In 1,379 SqFt Building. It Has A Beautiful Kitchen With A Lot Of Kitchen Cabinets And Granite Counters Tops, Ceramic Tile Floor On Kitchen and Dining Area. This Home is ready To Move In. This Home Is In Excellent Conditions Waiting For New Buyers. 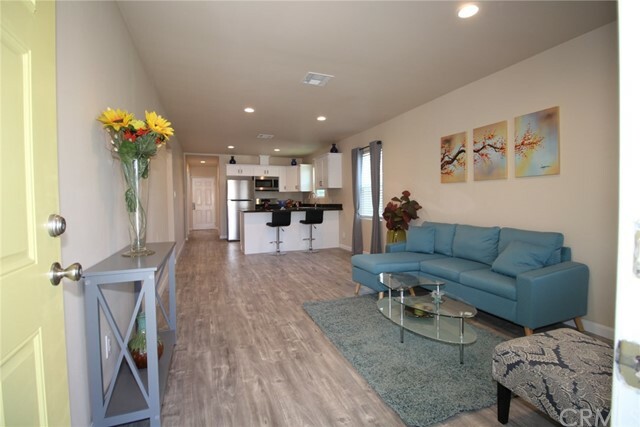 Located Close To Walking Distance, Shopping Centers, Freeways Schools. *****MUST SEE THIS PROPERTY ******"
"SALE!!! **NOT AN REO OR SHORT SALE**STANDARD SALE!!! **CONVENTIONAL, FHA AND VA WELCOME BEAUTIFULLY BRAND NEW HOUSE!!!!! It Features 3 Bedrooms, 1 bath. 1 car garage with a driveway!! Hardwood Floors throughout the living room and hall, Kitchen with Granite Countertops, tile floors w/ Solid Wood Custom Cabinets & much more to be mentioned! Hurry property is priced to sell!! Submit an offer today!!! Property is priced to sell & won t last long!!! Call the office for Showing Instructions!!!" "Zoned R2, this is property for investors. Fire damaged. Sold As Is , no warranties, expressed or implied. Drive by only. Court approved sale." "LOTS OF POTENTIAL WITH HUGE LOT! PROPERTY NEEDS TLC." "Property belongs to Mr.& Mrs.Clean. If your clients are looking for a easy to moving in property this is it. Property is in perfect condition. Nice paint inside and outside beautiful laminate and tile floors through out the home. Laundry area is inside, 2 car attached garage. This home can be easily occupied by two families. Home is conveniently located to bus stops metro, stores, banks and restaurants are 1 block away." 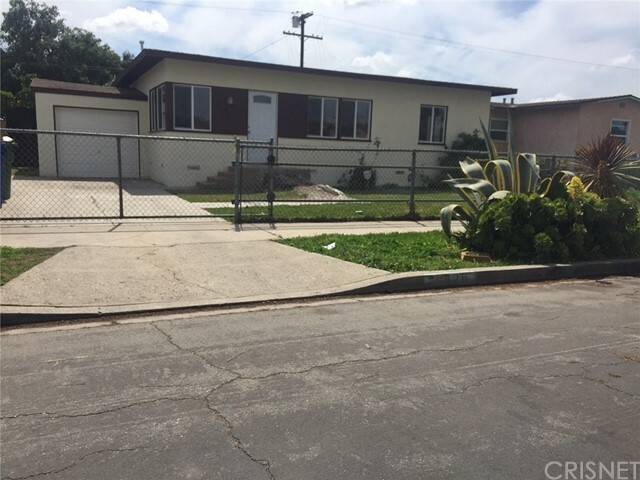 "Great Investor Property! 2 single story houses on lot, (front and back). Front is vacant, back house is occupied. Both houses need extensive repairs; may not go FHA. Being sold As Is"
"4 Bedroom 2 bath spacious home on LARGE LOT. Close to shopping , FWY, park , schools and entertainment. Great opportunity for a starting and growing family. Very unique property. Excellent investment. Hurry don't miss this excellent opportunity!" "Totally redone property. everything is brand new. Featuring 3bd 2ba. Brand new landscape, windows, doors, kitchen with brand new cabinetry, quartz counters. Bathrooms are brand new, new appliances, entire flooring is brand new, new roof, new paint inside/outside. Basically the house was gutted out completely and rehabbed. Conveniently located for everyday shopping and access to freeway, yet VERY residential and quiet pocket. This is a very rare opportunity to find almost sparkling brand new home in the area. Hurry this would not last." "This is a great property that is very well maintained by the current owners. It is a 3 bedroom and 2 bathrooms with it's own laundry room inside the property. Bring your buyers!!" "Charming move in ready 2 bedroom, 1 bath home. The kitchen has been upgraded with new cabinets, quartz counter tops, new hardware, fixtures and lighting. New laminate wood flooring in living and kitchen. New interior and exterior paint. Newer windows. Bathroom features new tub with custom surround tile, new vanity, fixtures, lighting and flooring. Don t miss the opportunity to come see!" "Single family home that features three bedrooms, two baths, living area and Detached garage. Located near a park that is great for outdoor activities and walking distance to shopping center. 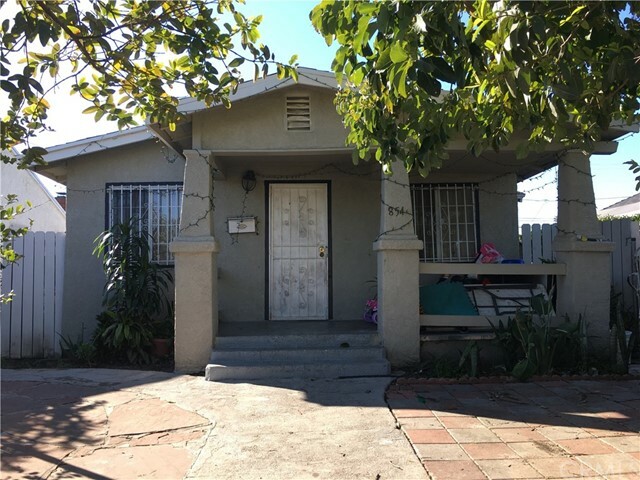 Located close to the Harbor (110) and Century (105) Freeways. This home allows for easy access to all of Los Angeles." "great property for 1st time home buyer or investor. 3 bedrooms one bathroom home sits on a 5392 sqft lot. 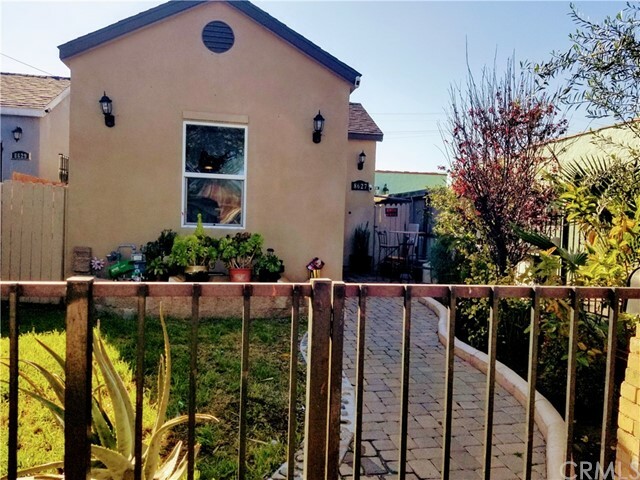 property is perfectly located on the front of the lot leaving a huge back yard space that could be use to build another house and have cash flow, or just build a pool to have family gathering and enjoy the back yard. 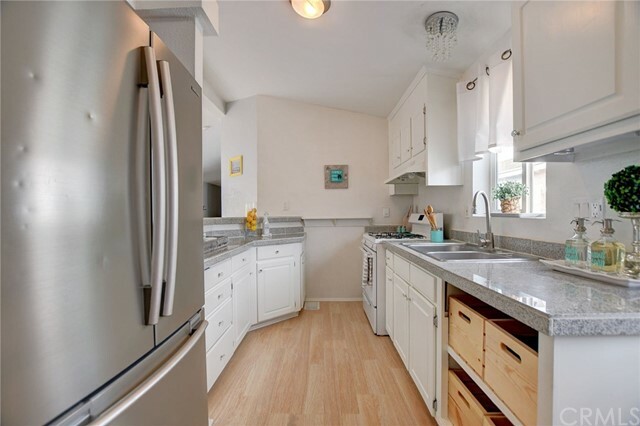 home features stunning, remodeled kitchen with white shaker cabinets, granite counter-top, with luxury vinyl flooring. 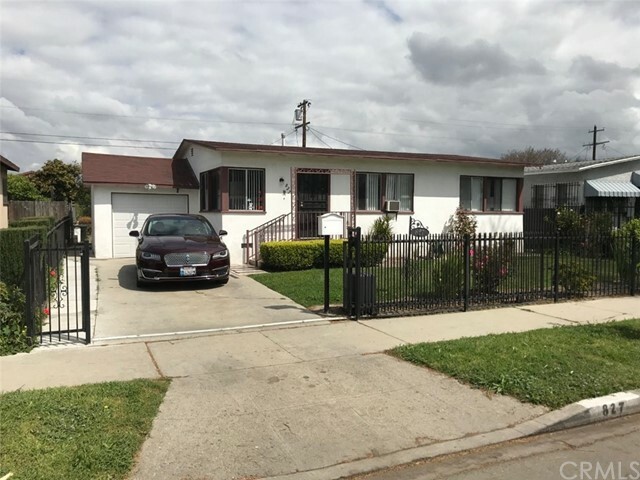 brand new appliances, new bathroom vanity with granite and vinyl flooring, fresh interior paint throughout as well as recent roof and windows centrally located easy access to 105 & 110 freeways. home is approximately 15 to 20 minutes drive to most popular venues like the forum, hollywood park & casino, lax, rams/chargers new stadium complex and dtla." 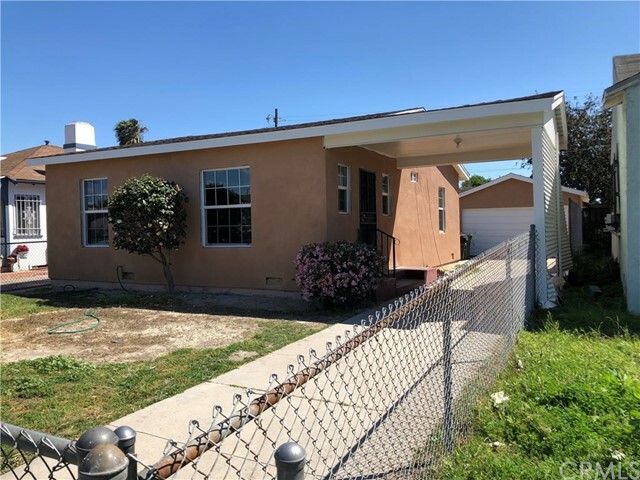 "Newly remodeled home with new stucco, new windows, new roof, new HVAC, new flooring, updated kitchen and bathroom. The garage is a double car garage for two compact cars. The lot is big enough that an apartment can be added in the rear per the Building Department of Los Angeles. This is a perfect starter home! DO NOT SHOW UNTIL 4/27/19; a Supra key will not be available until that date." 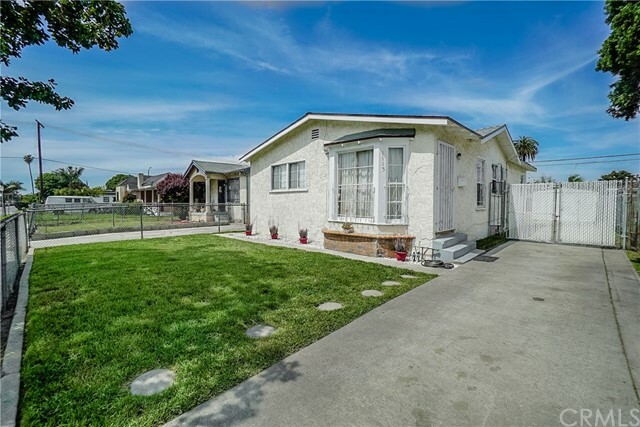 "Beautiful single family residence near freeways and shopping centers. The property has 2 bedrooms and 1 bathroom. The home is freshly painted inside and out. The bedrooms and living room have newly installed vinyl wooden floors and crown molding. The kitchen has been upgraded with modernized cabinets, sink, and quartz counter tops. Front and backyard are paved. Spacious private backyard perfect for family entertainment. The property has an attached garage and a new iron gate. Perfect for first time home owners and ready to move in!" "Touring this Gorgeous Home Anytime by Clicking on Our 3D WALK VIDEO LINK! Newly Built in 2005 with New Plumbing, Electrical, Roof etc Remodeled to perfection in last 12 months! 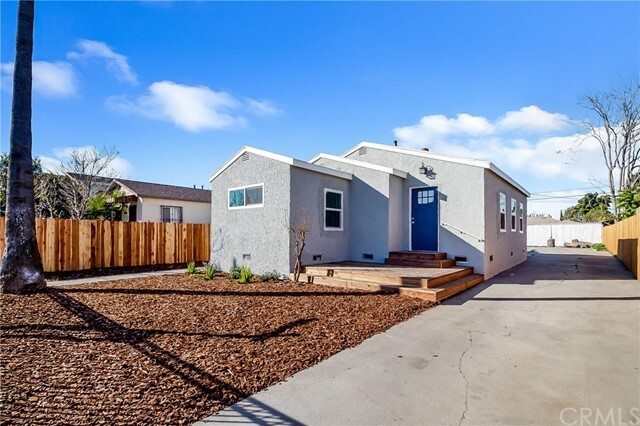 Gorgeous move-in ready home located in the heart of LA! This home features an upgraded modern white kitchen with granite counters, all new stainless appliances, and tons of cabinets. Convenient inside laundry just off the kitchen. Spacious living area with picture perfect windows and a lot of natural lights. Master bedroom with en suite master bath has been exquisitely updated. Two other bedrooms with new laminate hardwood flooring and ample closet space. 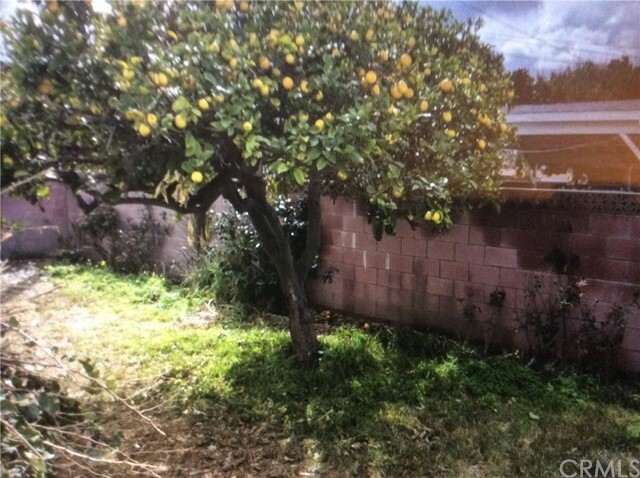 Beautiful gated front yard with many fruit trees and roses! Nice curb appeal! Storage Room In the back. Covered carport and Plenty of on-site parking (up to 4 cars) with Alley Access. Conveniently located near USC, close to freeway, outstanding dining and shopping. Hurry, don t miss out!" 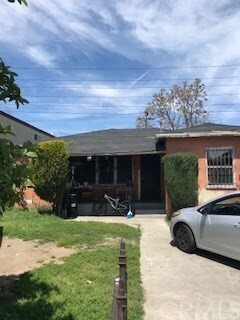 "This 2 bedroom and 1 bathroom house is located in a nice quiet area of Los Angeles and shows pride of ownership as it has been well kept by the seller who is a handyman. The roof is only a year old and the exterior of the house was painted last year. There are 2 attached singles in the back of the property. This is a perfect place to call home or to buy as an investment property and rent it out at the price you want. There is NO RENT CONTROL! JORDAN DOWNS PLAZA retail center by developer Primestor is set to open Summer 2019 right around the corner from this beautiful house and will hold shops, restaurants, grocery store, gym and more!! It is also conveniently located only 10 minutes from the LA Football Club s Banc of California soccer stadium and USC. It is less than 5 walking minutes of parks, stores, bus stops, jobs and more in an area that continues to develop and grow. Come take a look!" 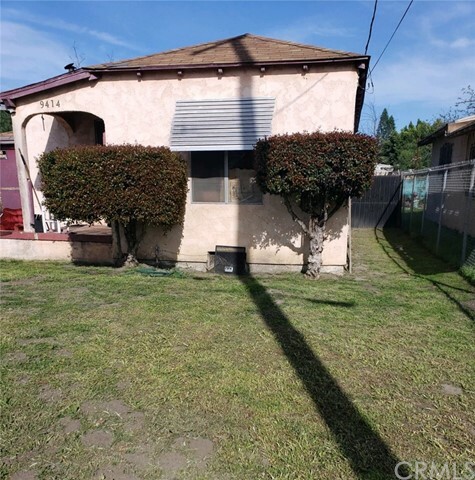 "Newly remodeled this home is perfect for a 1st time buyer or investor. This home offers the option of 2 rooms and a bonus room that may be used as a 3rd bedroom. Cute and bright kitchen, new cabinets and counter tops. Some perks energy efficient with sun panel and r2 zoning live in one and build another. Buyer to verify with the city."